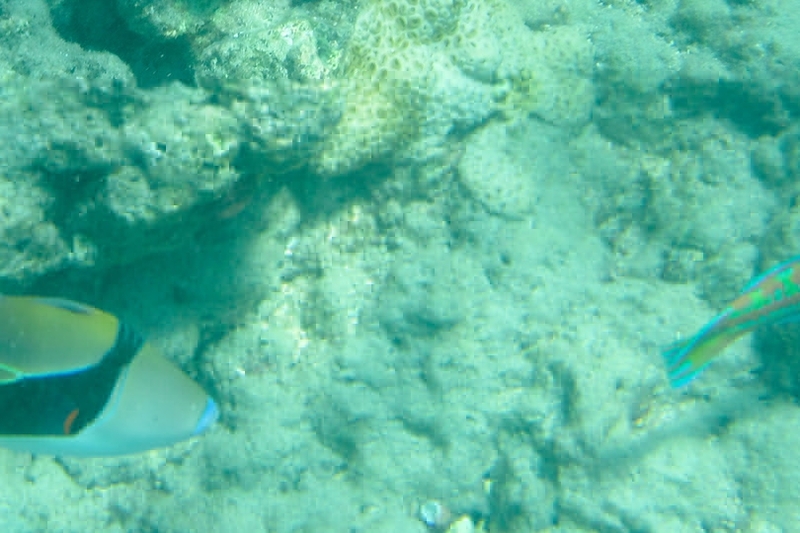 The Wedgetail Triggerfish - Whats That Fish! 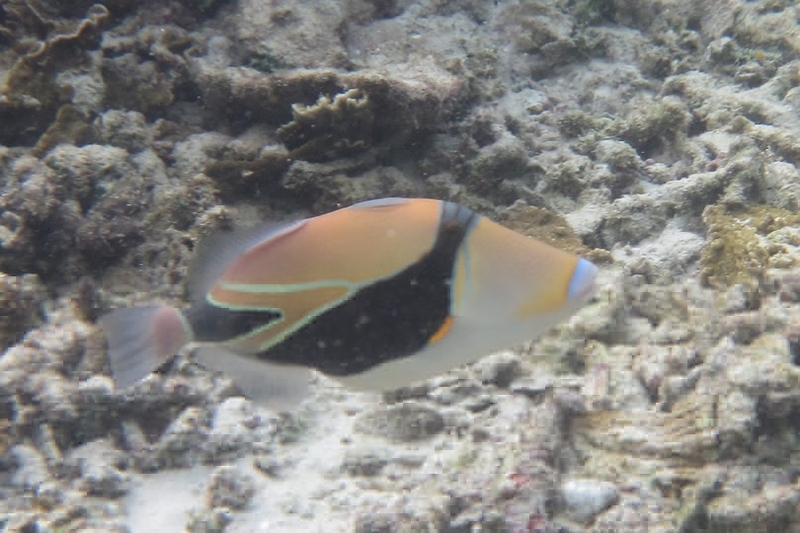 Also known as Wedge-tailed Triggerfish, Wedge Triggerfish, Reef Triggerfish, Rectangular Triggerfish, Rectangle Triggerfish, Patchy Triggerfish, Diamond Triggerfish, Picasso Triggerfish. 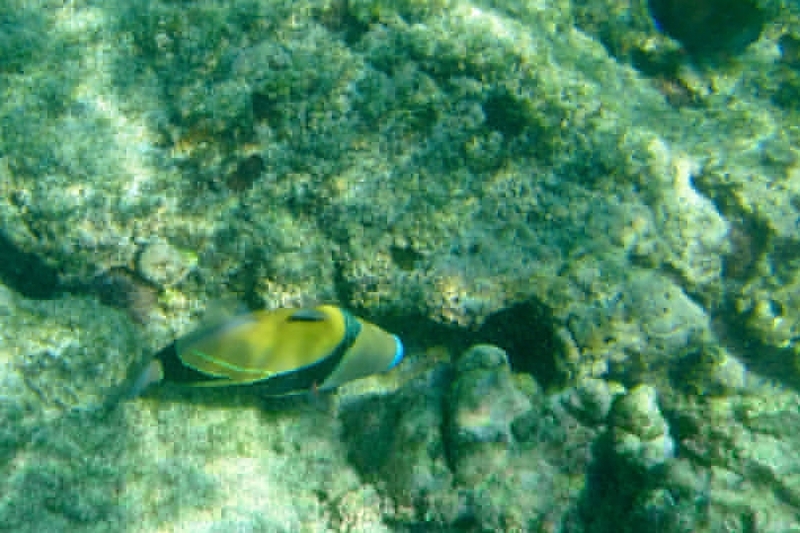 Also known as Wedge-tailed Triggerfish, Wedge Triggerfish, Reef Triggerfish, Rectangular Triggerfish, Rectangle Triggerfish, Patchy Triggerfish, Diamond Triggerfish and Picasso Triggerfish. 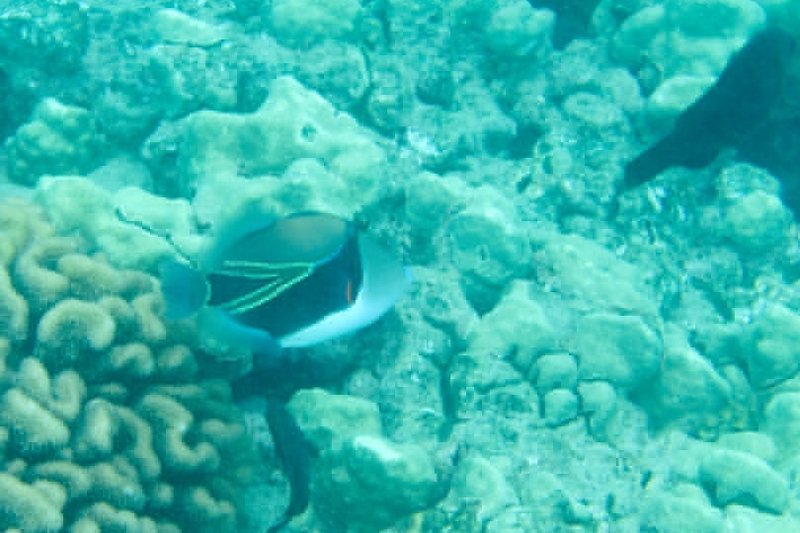 Found singly or in small groups in surge areas of reef flats and seaward reefs. They feed on a wide range of food items, including live coral, algae, sea urchins, crabs, molluscs and other invertebrate groups as well as fish and sea squirts. Picasso's dig their shelters under solid objects by swimming sand away. This is done by putting their mouth against a solid object and swim like crazy, thereby creating a current that takes the sand away and making a little nest area. 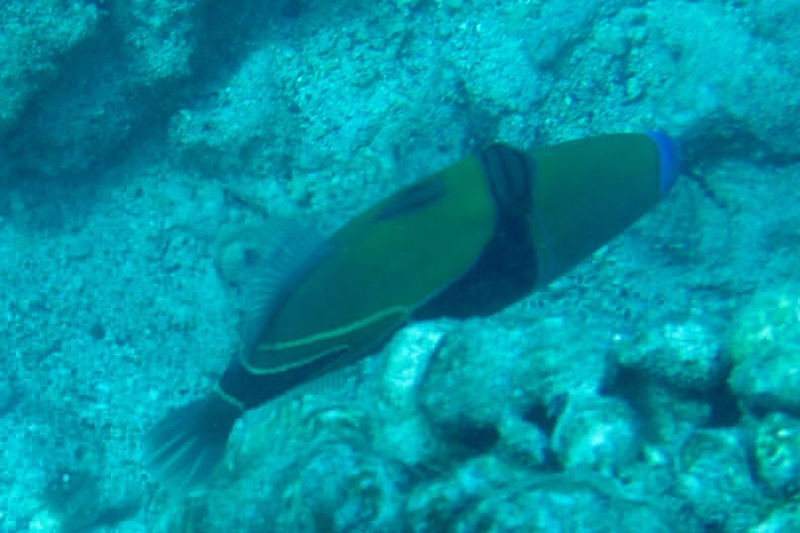 Wedgetail Triggerfish is known in Hawaii as Huma Huma Trigger, or humu-humu-nuku-nuku-a-puaa by native Hawaiians and has recently been reinstated as the Hawaiian state fish. 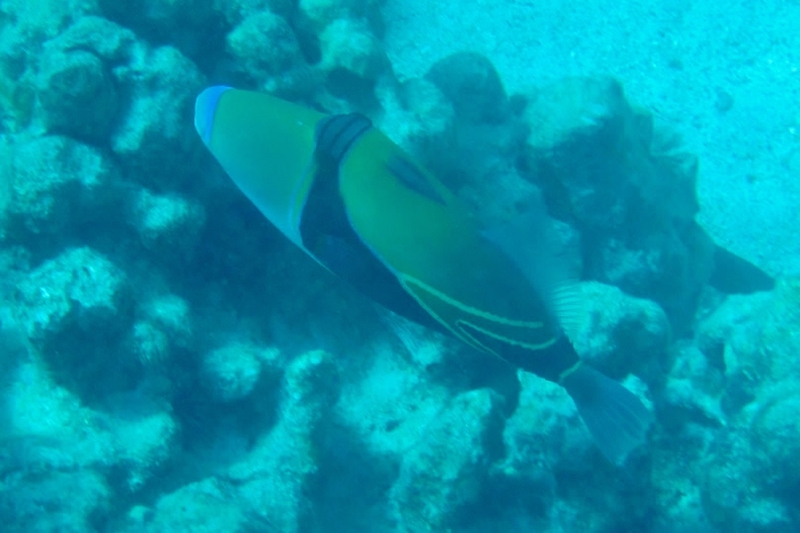 Triggerfish have a hard spine Dorsal Fin that can be locked. When sleeping this spine is used to wedge them into place in a crevasse and so deter predators from pulling them out of their bed! The spine is also held erect as a warning to other fish to stay away. Several large Titans blow shallow depressions in the sand for nesting and if approached will raise this spine as a warning, if ignored they may charge, even divers! 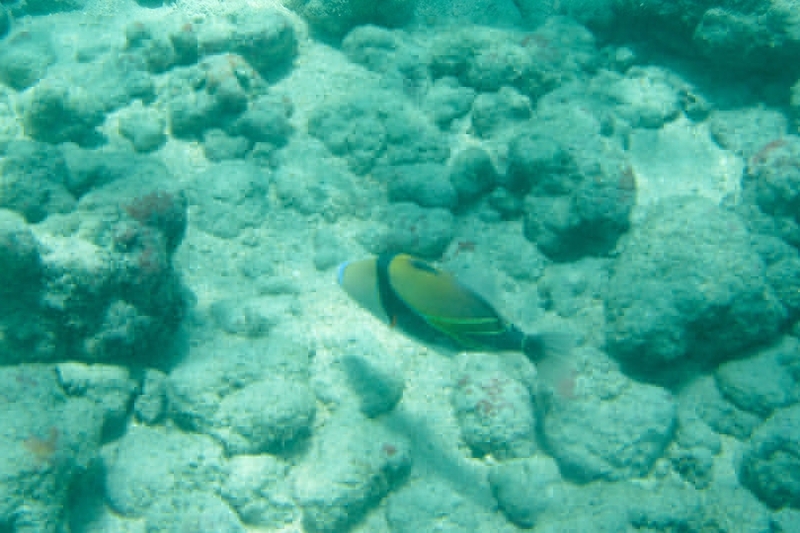 especially the Titan Triggerfish who will take a tasty bite!! Beware!!! Have a photo you want identified? Want to share your pictures? Upload them now! Login on the desktop to upload your own pictures! Created to help individuals around the world identify tropical fish found during their scuba dive and snorkelling excursions.